John Peterman is a real person, someone whose catalogs of curiosities made him famous enough to be fictionalized on the TV series “Seinfield” in the mid 1990s. 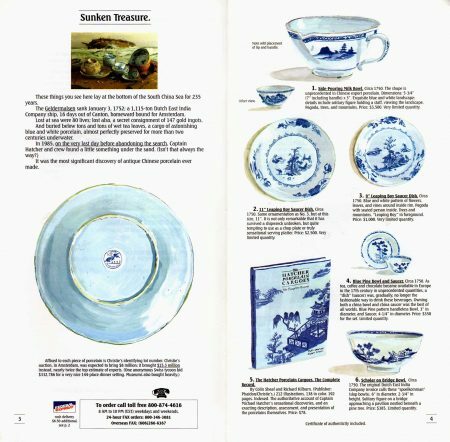 The J. Peterman Company began by selling unique, slightly exotic clothing and soon branched out to even more exotic gifts and products. 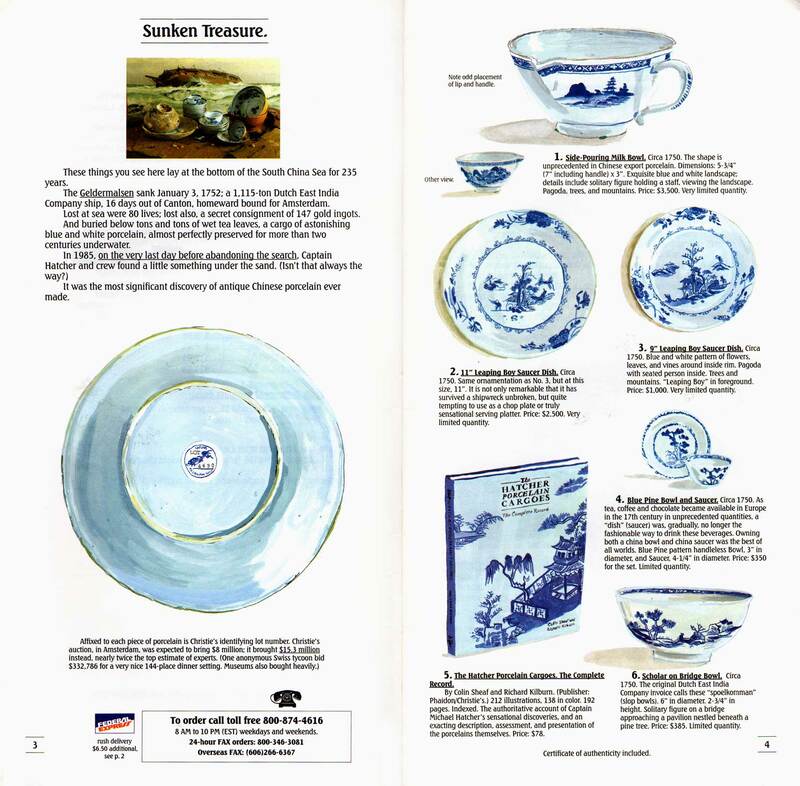 This antique china from China was first product in the first of J. Peterman's “Booty Spoils and Plunder” catalogs. Their catalogs were as unusual as the products inside. One never knew what was going to be on the page or the next edition. They were printed in an unusual size. 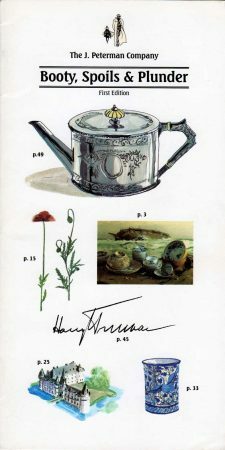 There were never any product photographs – just artistically-rendered watercolor images, which added an enhanced magic to the products. The most realistic photographs, in contrast, would have diminished them and brought them down to earth. It makes a $3,500 milk bowl seem…well, if not a bargain, at least a wise investment. Zoom in to read all about it.